After spending his whole life training in preparation, Rikkar had finally reached his goal: Rastakhan’s Rumble, the most legendary gladiatorial display in all of troll history. Which was great! He’d been forced to take one of the worst seats in the house, right by the lofty heights of the announcer’s tower, which was very not great. Yearning burned in Rikkar’s heart like a raging dragonhawk. 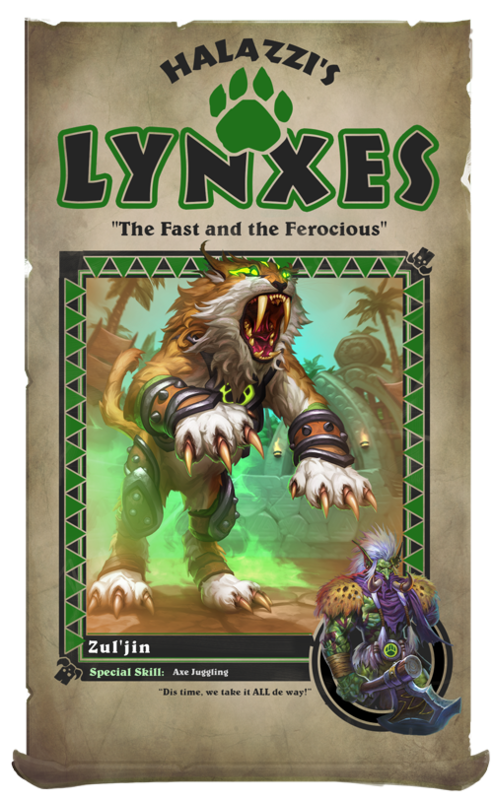 He longed to be down in the arena with his idols, the legendary loa and champions of the Rumble—not sharing a cloud bank with the two-headed Ogre announcer, so high up that he could almost reach out and touch the passing zeppelins. As the booming voice of the announcer proclaimed the beginning of opening ceremonies, the teams marched into the arena. Rikkar was running out of time—there had to be something he could do! He pored over the team posters plastered on the tower, wracking his brain for inspiration. Rikkar thought Gonk and Wardruid Loti were examples of inspiring contrast. 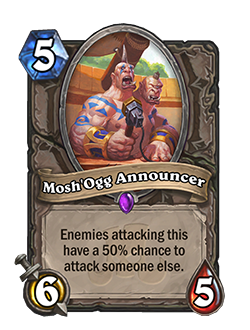 Gonk was one of the oldest loa, and Loti one of the younger competitors in the Rumble (not to mention an advisor to King Rastakhan! And one of the most talented shapeshifters in the world! 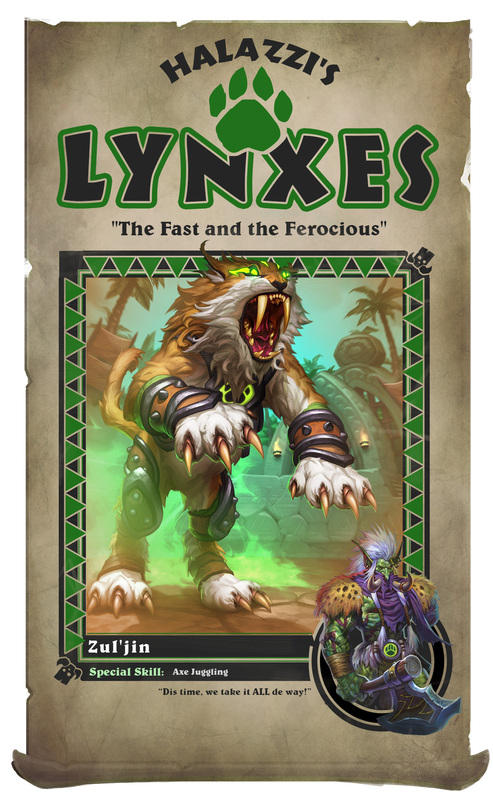 ), but the two of them joined forces to open the door for young Zandalari trolls to become Druids. 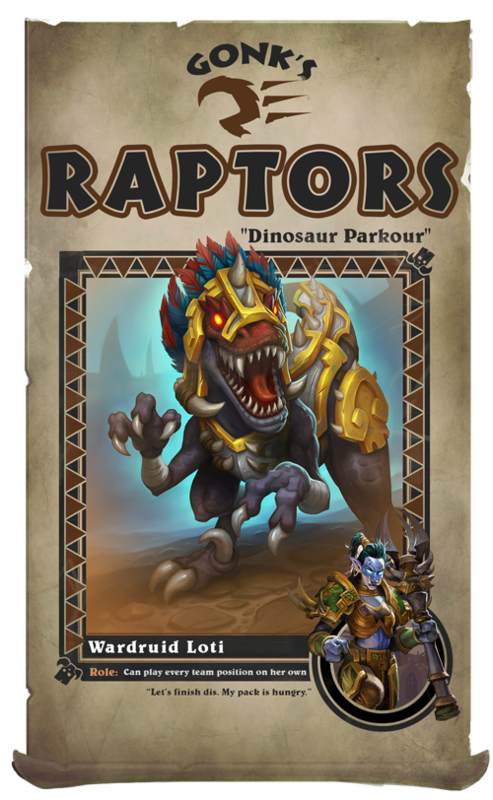 Loti was the inspiring leader to a pack of howling, dinosaur-jumping lunatics. Maybe he could use that! Rikkar sympathized with Zul’jin. They had a surprising amount in common: they were both passionate, indomitable, and hungry for victory that always seemed just out of reach. Zul’jin never gave up fighting for the Amani empire, no matter how bad the odds. Or losing major pieces of his anatomy. If Zul’jin could keep fighting with one eye and one arm, how could Rikkar give up now, with two eyes and two whole arms? Rikkar had the spark of an idea. 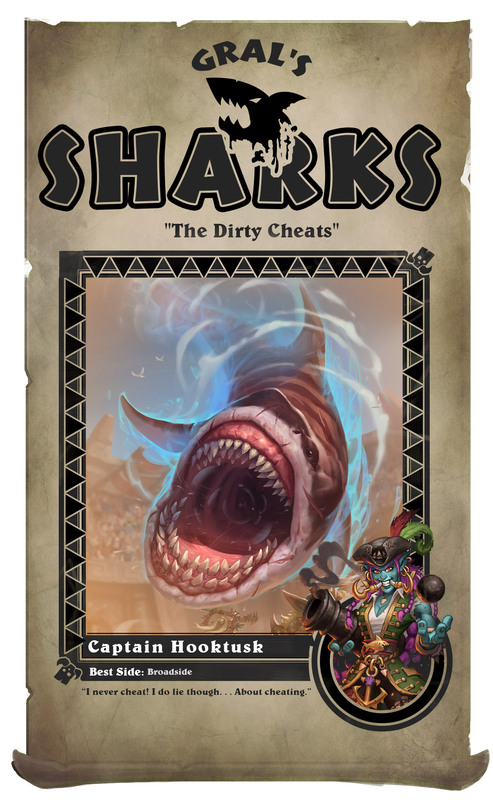 Rastakhan’s Rumble had no rules! 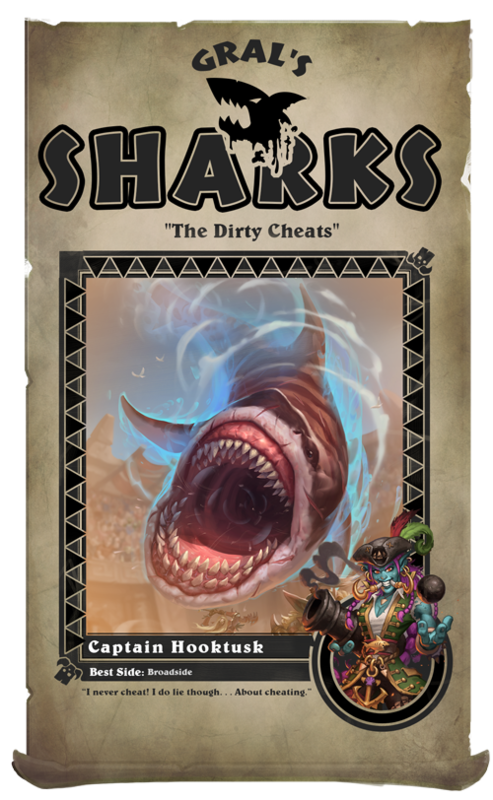 He leapt into the announcer’s box, and before the ogre could react, Rikkar snatched the mic from his ham-sized fist, leaving both of the ogre’s faces goggling. 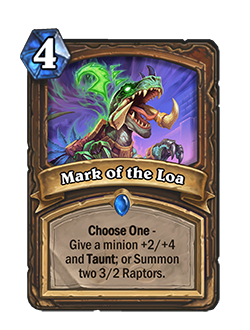 One by one the other loa voiced their support, all urging Rikkar to fight alongside their teams. Rikkar could barely comprehend what had happened: he had the blessing of all nine Loa. 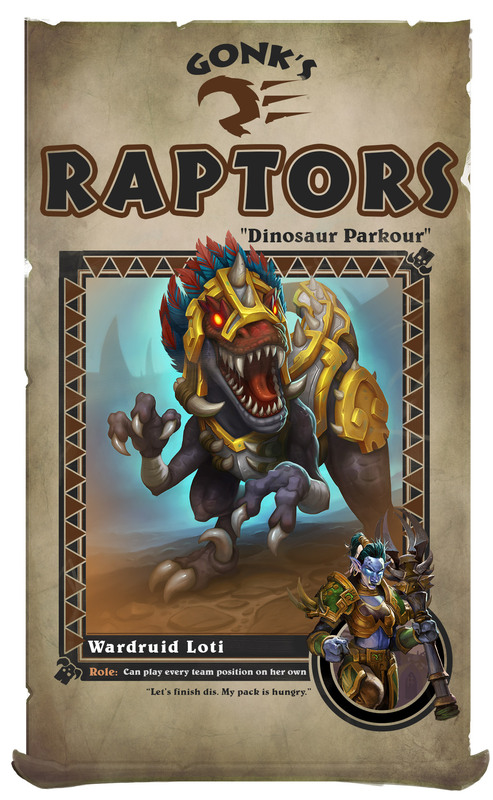 He would finally get a chance to prove himself fighting for glory in Rastakhan’s Rumble! Rikkar beamed, tears of joy in his eyes. He couldn’t wait.